Get the latest news, updates, and tricks from the Lingraphica team. Our clinical, reimbursement, and marketing teams will bring you the most up-to-date information about aphasia, speech therapy, stroke rehabilitation, and communication disorders. Check back often for new content! Meet Jennifer Hanson: Clinical Consultant for Lingraphica! Jennifer began her journey as a Lingraphica clinical consultant in December 2018 and lives in New Mexico. Jennifer graduated from Wake Forest University with a Bachelor of Arts in Spanish and Psychology. She received her Masters Degree in Speech-Language Pathology from The University of Arizona. Read on to find out a bit more about one of our newest additions to our clinical consultant team! Apraxia and aphasia are communication disorders that can impact an individual’s participation in everyday life. These disorders can be devastating for both the person affected as well as his/her family members. 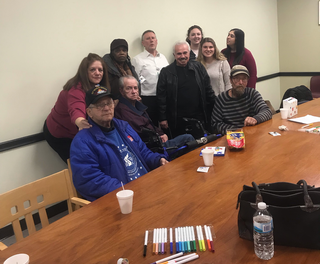 Fortunately, there are support groups that guide these individuals and their families through difficulties they may encounter—like the Staten Island Apraxia and Aphasia Support Group. We receive feedback from customers who use our apps, online therapy, and devices every day. 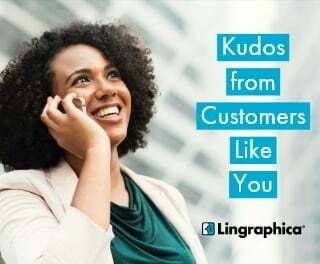 Here are a few testimonials from people like you about their experience with Lingraphica. Lingraphica Co-founder and Chief Scientist, Dr. Richard Steele, summarizes the work of aphasia researchers at McGill University (Montréal) and Université Laval (Quebec City) who conducted a systematic review and case-control analysis of data from published articles on persons with aphasia (PWA) who received melodic intonation therapy (MIT). 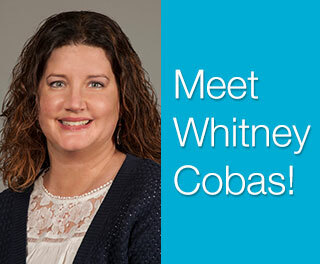 Meet Whitney Cobas: Clinical Consultant for Lingraphica! Whitney began her journey as a Lingraphica clinical consultant in December 2018. She is from South Carolina. Whitney graduated from Winthrop University with a Bachelor of Arts in Communication Disorders and from the University of South Carolina with a Master of Speech Pathology degree. Read on to find out a bit more about one of our newest additions to our clinical consultant team! 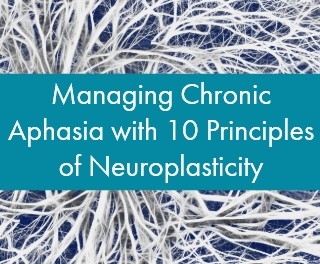 The 10 Principles of Neuroplasticity are evidence-based treatment techniques that are proven to help patients with physical, cognitive, behavioral, and communicative impairments during therapy. Dealing with aphasia after stroke can be a long, hard road for many. Thankfully, there are organizations dedicated to helping and supporting those affected. Meet the University of Delaware Blue Hen Brew Crew, an aphasia support group in Newark, DE. 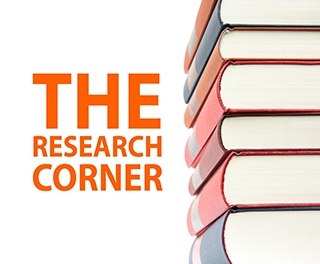 Lingraphica Co-founder and Chief Scientist, Dr. Richard Steele, summarizes research to improve the diagnosis of apraxia of speech (AOS) in adults with acquired aphasia. The aphasiologists from the United States, Australia, and Germany collaboratively examined multiple variables as potential predictors for the presence of AOS following left-hemisphere stroke resulting in aphasia, with the goal of finding accurate, reliable, and clinically usable indicators of AOS. Se Habla Español! 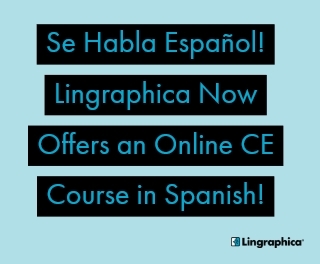 Lingraphica Offers First Spanish CE Course! One of Lingraphica’s new online courses offers Spanish-speakers an opportunity to learn about our devices, apps, and software options. 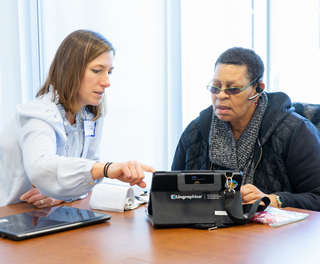 We are excited to announce that we now offer our introductory CE course, eligible for 0.1 ASHA CEUs, in Spanish: Uso de Dispositivos de Comunicacion Aumentativa y Alterna (CAA), Aplicaciones y Terapia de Lingraphica (Using Lingraphica AAC Devices, Apps and Therapy)! 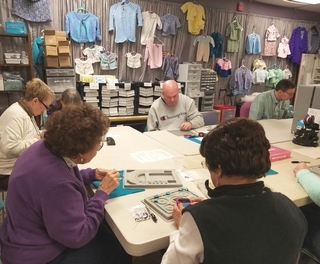 Aphasia Spotlight: Adler Aphasia Center's "Something Special"
At the Adler Aphasia Center in Maywood, NJ, there's Something Special going on to provide services to those with aphasia. Read on to find out what it is and how you can support their efforts.